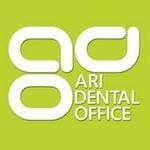 Ari Dental is a dental practice located in Toronto, Ontario. Ari Dental specializes in advanced orthodontic treatments and offers many other dental care services. Dr. Aram Mohajer is the owner of Ari Dental. Products Carried: Ari Dental is a dental clinic offering advanced orthodontic treatments. Located in Toronto, Ontario, Dr. Aram Mohajer and his staff at Ari Dental offer general dentistry, cosmetic dentistry, dental implants, and more. Their Toronto Invisalign specialists are fully trained in this treatment. Ari Dental Office provides patients with relaxed dental treatments using the most advanced care techniques.